I always keep a box of fresh ricotta in my fridge. It is a very versatile ingredient used in both sweet and savory dishes. 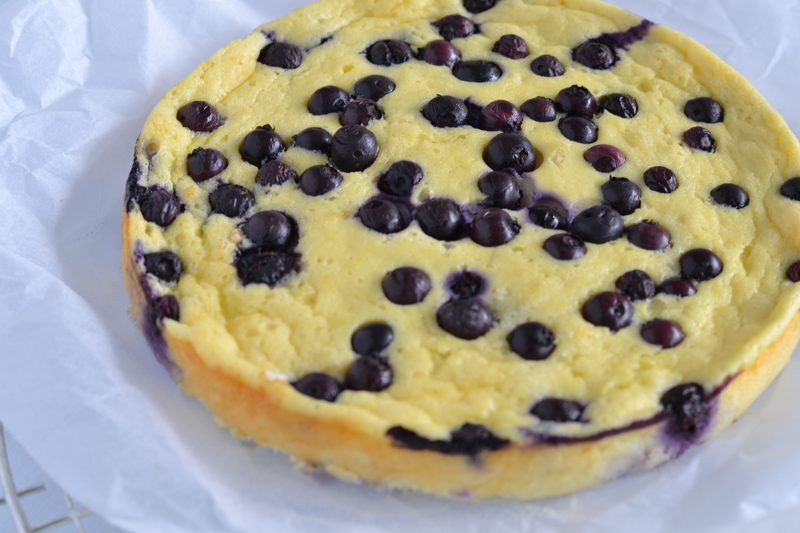 This spring I made ricotta blueberries’ cake, which can be great for brunch, or as an afternoon bite, or as a light dessert. I like to serve it with blueberries’ compote. It is a light dish and it is easy to prepare.For the afternoon snack option I use a small cutter to make little portions. It makes this cake even more appealing by presenting it in a creative way. Lightly oil and line a base of a cake tin (preferably with a loose bottom) with a baking parchment. I used cake tin 20cm/8 inch and about 4cm|1-1/2 inch deep. Using an electric mixer, beat ricotta cheese until smooth. Add yogurt, egg yolk, vanilla and sugar. Mix well. Carefully stir in sifted flour. In other bowl beat egg white until soft peek, and carefully fold into ricotta mixture. Add blueberries and put the mixture into cake tin. Put cake tin in lower third of the oven. Bake until set, approximately 35 min. Turn off the oven and leave the cake to cool inside. If you don’t have a loose bottom tin, place a serving platter on top of the tin and invert both platter and tin simultaneously. Peel off baking parchment. Use a pastry cutter to cut cake of the size you require. 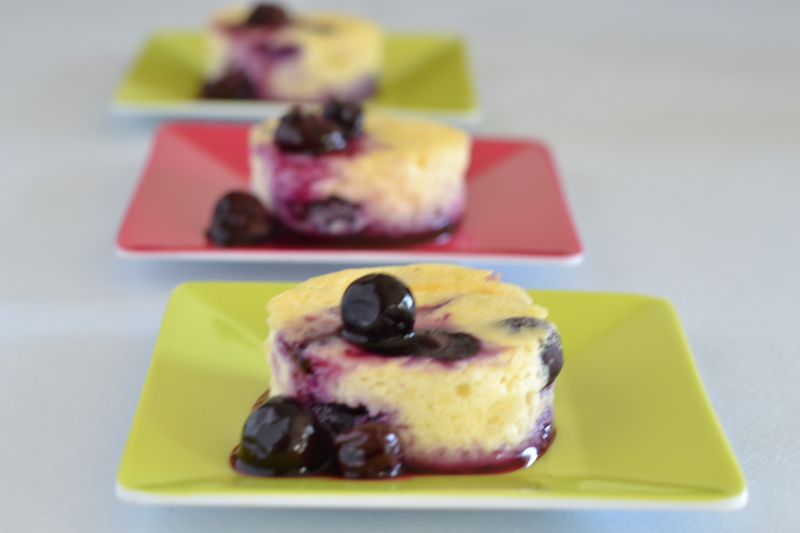 Decorate with blueberries compote. 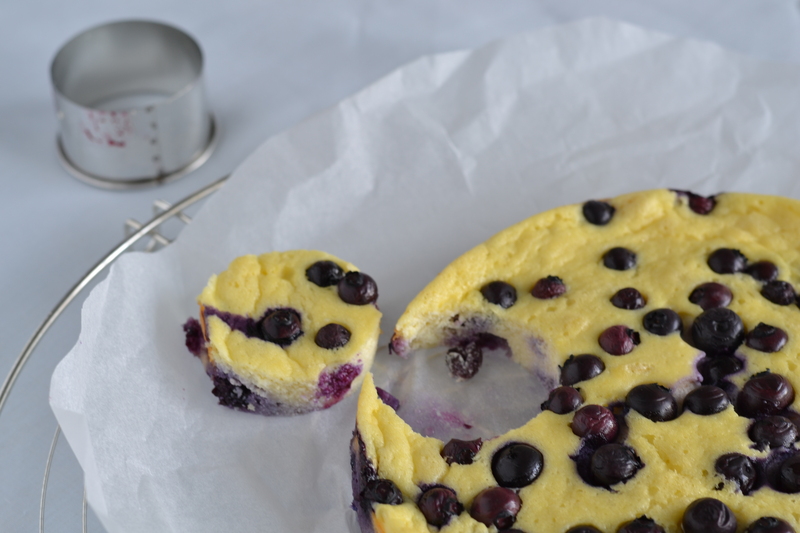 Put the blueberries and the rest of the ingredients in a pan. Cook on a low heat, until the sugar dissolved. Bring to boil, than reduce the heat and continue to simmer until the fruit is tender, about 10 min. Leave the sauce to cool about 10 min. Serve hot or cold.